When it comes to violence against women, a crucial cultural shift has begun: men are thinking of themselves as part of the solution. Men stood with women protesting events in Delhi, Steubenville and Cairo; Dallas mayor Michael Rawlings, joined by Cowboys athletes, recently kicked off a citywide initiative challenging men to stop domestic violence. 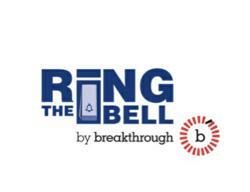 Driving this moment forward, global human rights group Breakthrough today announces the worldwide launch of the next phase of its “Ring the Bell” campaign to engage men in the effort to end violence against women. Over one year starting March 8, 2013, One million men. One million promises will gather one million promises from men to take concrete action to end violence against women. Acclaimed actor and activist Sir Patrick Stewart (X-Men, Star Trek: The Next Generation) will host the event launching the campaign and offer his own promise. A survivor of domestic violence, Stewart has been a vocal advocate against domestic violence and for men’s engagement to end the global pandemic of violence against women. “The truth is that domestic violence and violence against women touch many of us. This violence is not a private matter. Behind closed doors it is shielded and hidden and it only intensifies. It is protected by silence – everyone's silence. Violence against women is learned. Each of us must examine — and change — the ways in which our own behavior might contribute to, enable, ignore or excuse all such forms of violence. I promise to do so, and to invite other men and allies to do the same," Stewart said. One million men. One million promises, in partnership with the UN Secretary General’s UNiTE campaign, the UN Women’s COMMIT campaign, the Clinton Global Initiative and many other groups worldwide, will launch on March 8, coinciding with International Women’s Day and the 57th session of the United Nations Commission on the Status of Women, with a kick-off event at the ONE UN New York Hotel. Please RSVP to erin(at)caminopr(dot)com for exact details, as space is limited. 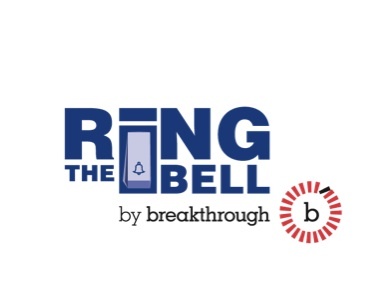 Led by Breakthrough, coordinated live and social media events (#ringthebell) will take place in New York, Delhi, Johannesburg, Rio de Janeiro, Kathmandu, and Stockholm, calling on men worldwide. Make your own promise here. One million men. One million promises is the first initiative of the global “Ring the Bell” campaign, which began in India in 2008 as Bell Bajao (“Ring the Bell” in Hindi). Through multimedia and on-the-ground engagement, Bell Bajao called on men to ring the doorbell — literally or figuratively — to interrupt overheard domestic violence. Bell Bajao made the “private” matter of violence against women a public problem and reached more than 130 million people through media, along with 7.5 million on the ground, and trained more than 75,000 young people to stand up for women’s rights. The campaign has since been adapted in and expanded to China, Vietnam, Pakistan, Malaysia, Bangladesh, Nepal, Canada and more. To download images, click here. Breakthrough (http://www.breakthrough.tv) is a unique global human rights organization that creates cutting-edge pop culture and innovative education to inspire new generations of leaders to act for change. We work out of centers in India and the U.S. — the world’s largest democracies — to end violence against women and promote human rights. An acclaimed actor who has made his mark internationally on both stage and screen, Sir Patrick Stewart is also a tireless activist and supporter of numerous human rights causes. In the UK, Stewart is a Patron of Refuge, an organization which provides a range of high quality services for abused women and children and advocates for improvements to domestic violence policy and practice, and the implementation of new legislation. Refuge helps to prevent domestic violence through campaigning, education, training and research. He is a Patron for Dignity in Dying, which campaigns for greater choice, control & access to services at the end of life, advocating providing dying adults with the choice of an assisted death, within upfront legal safeguards, and for universal access to end-of-life care. Sir Patrick is also a Patron of Combat Stress, an Ambassador for the United Nations Association – UK and a longtime supporter of Amnesty International, particularly in promoting their Violence Against Women campaign.